Product prices and availability are accurate as of 2019-04-22 12:08:18 EDT and are subject to change. Any price and availability information displayed on http://www.amazon.com/ at the time of purchase will apply to the purchase of this product. 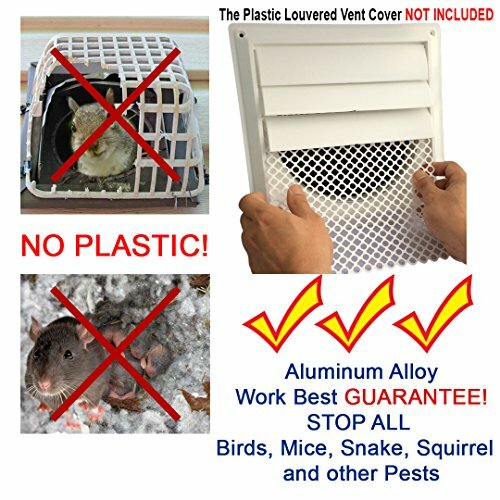 Ensure that you never have unwanted pests, birds, mice, snakes or other critters getting into your dryer vents nor exhaust vents with the Aroma Trees Aluminum Alloy Customizable Louver Vent Hood Cover Guard. 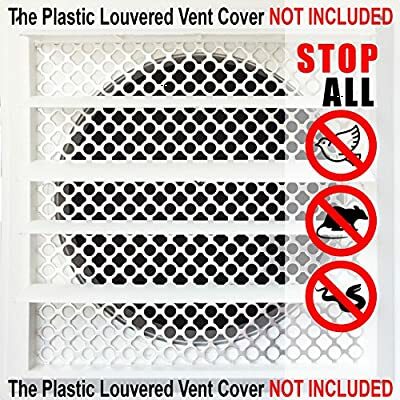 Easily install this well-designed, high quality vent hood protective guard in just minutes-without the use of special tools or professional help. 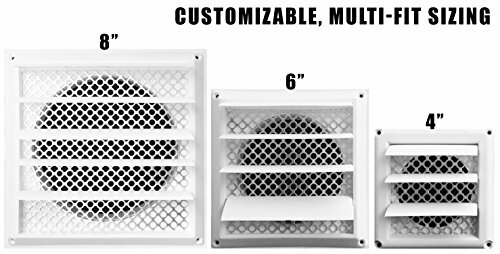 Unlike other vents on the market, the convenient Aroma Trees Aluminum Alloy Customizable Louver Vent Hood Cover Guard can quickly be customized to fit vents ranging from 3" to 8". 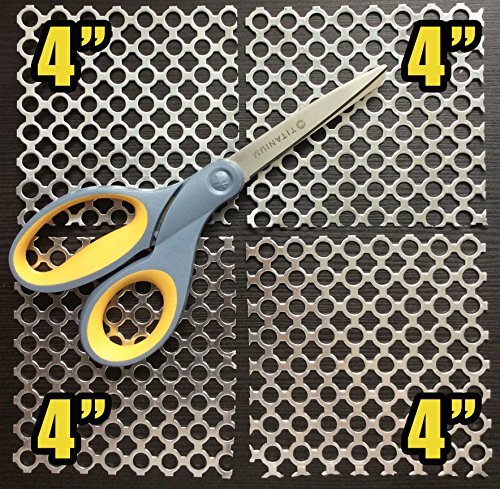 Our skilled engineers designed our product with hole size from 8-10mm and 512 holes in per sheet. The hole space is up to 0.257 square inch (or 0.02387m2). These careful measurements assure that there is more than enough space for the vent to function properly and safely. 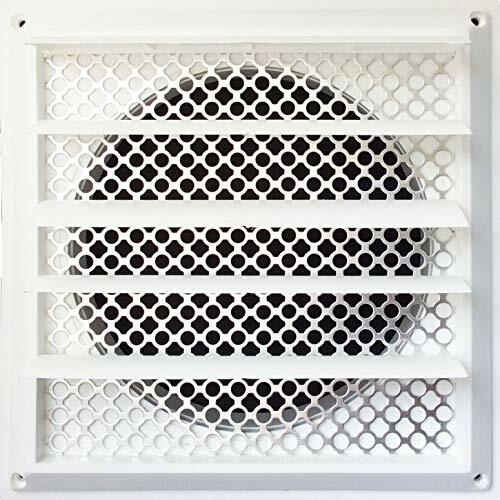 One tip to consider in using Aroma Trees Aluminum Alloy Dryer Vent is that if you still need additional space you can easily cut or trim in between the hole to create more space. All you need to do this is a pair of regular scissors. Additionally,we advise all consumers to clean the vent every four to six months for best results. 1. 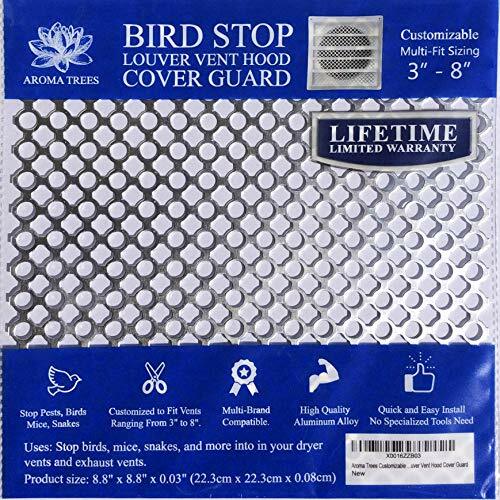 Use scissors to trim the Aroma Trees Aluminum Alloy Customizable Louver Vent Hood Cover Guard to appropriate size. The strong, but flexible Aluminum Alloy can be easily trimmed to the precise size that you need. 2. Remove the three to four louvers at the bottom of the vent. 3. Slide into place in the housing. 4. You have now successfully found a beautiful and efficient way to stop birds, mice, snakes, and more from making a home in your dryer vents and exhaust vents. Tips..If you use Deflecto 4" VENT HOOD ASIN NO. :"B00314WY74" you can trim our Aroma Trees Vent Hood Cover Guard up to 4 pieces.